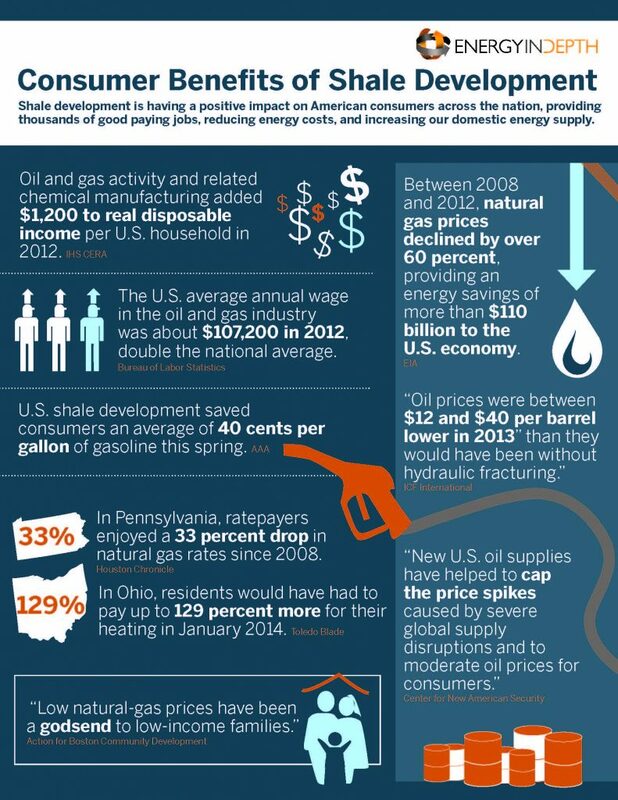 A new Consumer Energy Alliance (CEA) report highlights how domestic shale development saved Ohio consumers more than $40 billion from 2006 to 2016 by driving down natural gas prices. Thanks to prolific natural gas production in the Appalachian Basin, the region now boasts the lowest natural gas prices in the world — and at the end of the day, that means billions in savings to natural gas consumers. 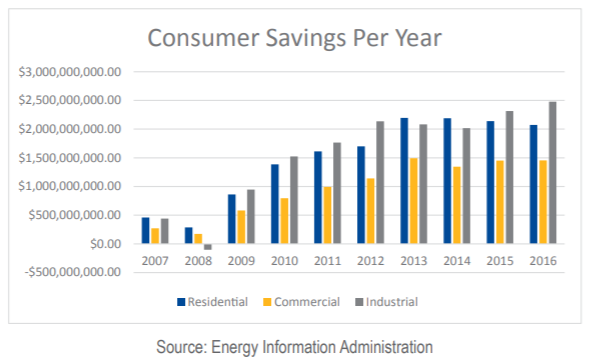 The CEA report breaks down Ohio’s cost savings, showing that Ohio residential customers saved close to $15 billion during the 10-year period, while commercial and industrial consumers saved more than $25 billion. What’s even more staggering is the downward trajectory in the price of natural gas before and after domestic shale development took off in earnest. 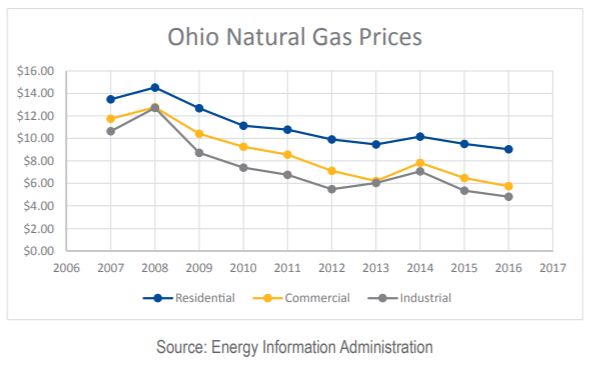 Before shale, natural gas prices peaked at $10.66, while these prices decreased to just under $4 in 2016 – a 62 percent drop – after the shale revolution took hold in Ohio. The shale-driven savings for Ohio consumers did not stop there. The CEA report also explains that Ohio gasoline prices have plummeted since 2011. The price at the pump for the Buckeye State was about $4.15 per gallon in 2011, with no end in sight. Domestic oil production from shale has helped to lower gasoline prices, saving drivers an estimated $115 billion or $1,100 per household in one year alone, according to AAA. EID‘s 2014 video on consumer savings also explained the importance of these lower energy costs for low-income families and American consumers. Notably, while the facts and quotes within the video and the following infographic are still very much relevant, as this recent CEA report and the 2017 University of Pennsylvania study show, these trends have continued to improve since 2014. And they are having very real benefits for Ohioans.